As someone who has year-round allergies—pollen, ragweed, mold, dust, pet dander (especially cats and horses), nuts (specifically, walnuts and almonds), MSG, food additives and preservatives—I was distressed to add yet another allergen to my list last week: Christmas trees. Yep. I refused to believe it…at first. But when I had a whopping allergy attack—on Christmas Day, no less—I had no choice but to acknowledge that I had Christmas Tree Syndrome—a condition where breathing in mold spores that grow on Christmas trees causes an allergic reaction. I’ve always loved December. The whole month—for me—has always been one of sensual anticipation—in all its sparkling, glittery, clove-infused, pine-scented glory. Picking out and decorating our Christmas tree upstate is a December highlight. But this year, bound to the City by work, I missed out on our annual ritual. My husband Christopher did it all this year, a week before Christmas. When my husband picked me up at the train station the Friday before Christmas, I found myself sniffling in the car. Was that the scent of fresh pine I detected? It was. “I transported our Christmas tree in the car,” my husband explained. And I didn’t give it another thought. When we arrived at our house, I was delighted. The tree was beautifully decorated. And the bracing scent of balsam fir wafted through the rooms. Ahhh! It smelled like Christmas. Christmas Eve: after a day of baking and 11th hour shopping, I began sniffling, which intensified until I went to bed. I slept 10 hours, indescribably fatigued. Christmas Day dawned bright and sunny. Shortly after breakfast, I began sneezing in earnest. Uh-oh, was I coming down with a cold? While sitting in front of the tree, we exchanged gifts. My sneezing escalated in frequency and intensity, becoming alarmingly violent and convulsive. My nose ran like Niagra Falls; it was also swollen and bright red, rivaling Rudolph’s. “I think I’m allergic to the Christmas tree,” I said glumly. I hate taking any kind of drug, but I popped a Claritan. Then, despite my fatigue (thanks to my allergies), I headed outdoors for a 7-mile run. Wouldn’t you know it? The moment I stepped outside, my nose stopped running. Nary a sniffle. Turns out I’m not alone. 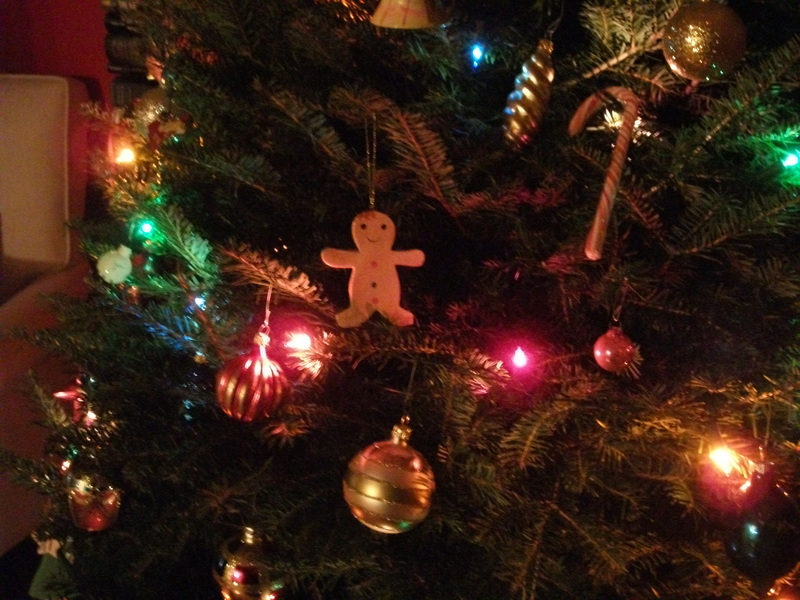 More people are allergic to Christmas trees than you might think. 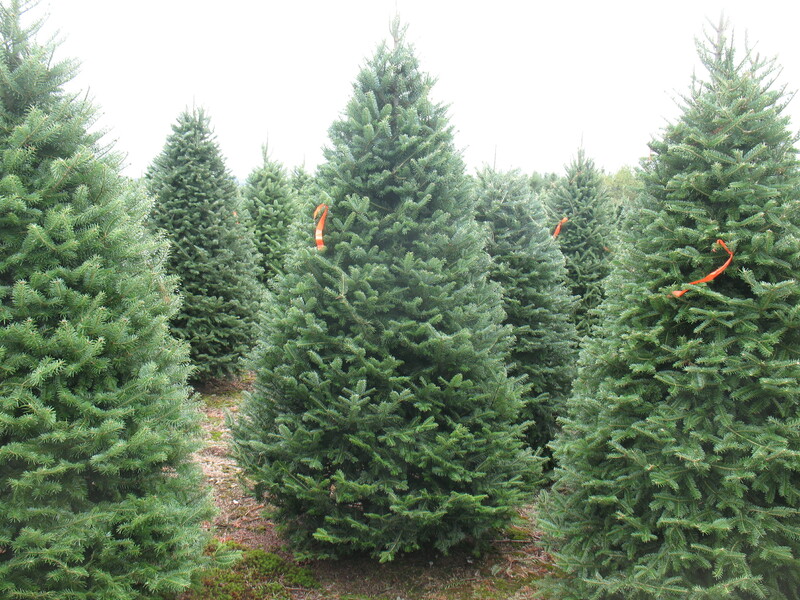 A recent study from State University of New York (SUNY) Upstate Medical University suggests that Christmas trees are indeed allergy culprits. Lead researcher and allergy specialist Dr. Lawrence Kurlandsky was curious as to why there was an uptick of respiratory illnesses around Christmas. He asked his colleagues at Upstate Medical University in Syracuse to bring in clippings of pine needles and bark from the live Christmas trees they had in their homes. The results, published in Annals of Allergy Asthma and Immunology, revealed that 53 different kinds of mold were present on 26 samples. According to the study, most of the molds identified were potential allergens that can potentially trigger wheezing, coughing, sneezing and allergic reactions in infants. 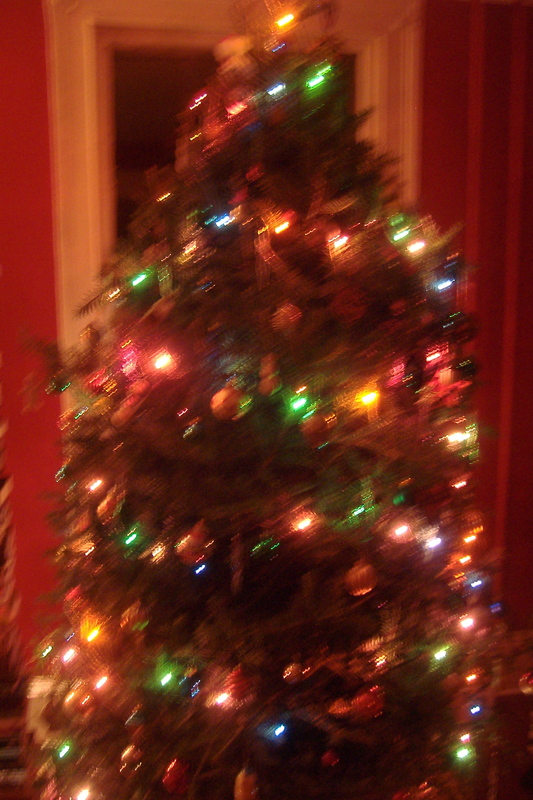 Kurlandsky’s study also referenced a 2007 Bridgeport, Connecticut study, where researchers tracked mold growth of a single live Christmas tree in a Connecticut home. They found that, over a two-week period (between December 24th and January 6th), the number of airborne mold spores increased exponentially, from 800 spores per square meter the first three days (spore counts less than 1,000 are considered “normal”), to 5,000 spores by day 14. FYI: hot lights and central heating also facilitate mold growth. If you or your kids aren’t exhibiting symptoms, or aren’t prone to allergies to begin with, having a live Christmas tree may be just fine. However, if you’re allergy-prone like me—especially to dust, pet dander and molds—you’ll likely experience some degree of Christmas Tree Syndrome. ♣ Thoroughly hose down your tree and let it dry before bringing it into the house. If you bought your tree at a nursery, ask if they have tree washing services. ♣ Clean all ornaments and lights before putting on the tree; they can harbor dust and molds. Store all decorations in plastic containers that can be easily wiped down since cardboard can potentially attract dust and mold. ♣ Run an air purifier in the same room as the Christmas tree. This may help alleviate symptoms. ♣ Buy a fake tree. Not the same, I know! Plus, artificial trees are not a failsafe solution; if carelessly stored (eg, in a dusty attic, damp basement or barn), they can also introduce dust and mold, exacerbating allergies. Experts advise washing off or, at the very least, wiping down artificial trees. ♣ Keep allergy meds on hand. In my case, Claritan didn’t work, but maybe another brand will. This entry was posted in At Our Farmhouse, Health, Wellness and tagged Christmas Tree Syndrome, December allergies, Dr. Lawrence Kulandsky, holiday allergies, Upstate Medical University. Bookmark the permalink.